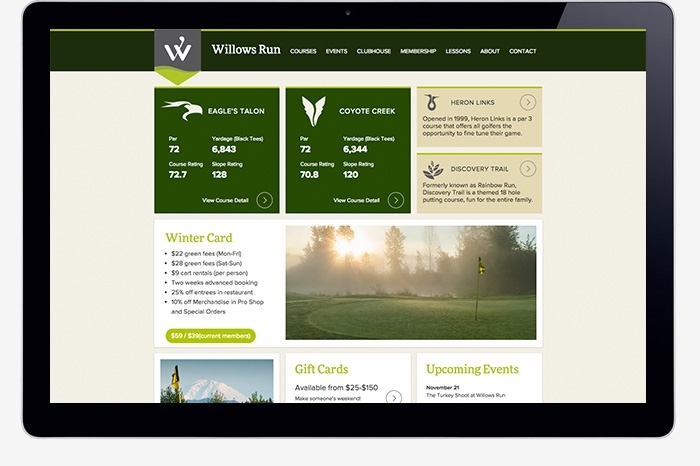 Willows Run Golf is a full service facility, situated in the heart of the Sammamish River Valley, a fertile lowland area between the cities of Redmond, Woodinville, and Kirkland with views of Mt. 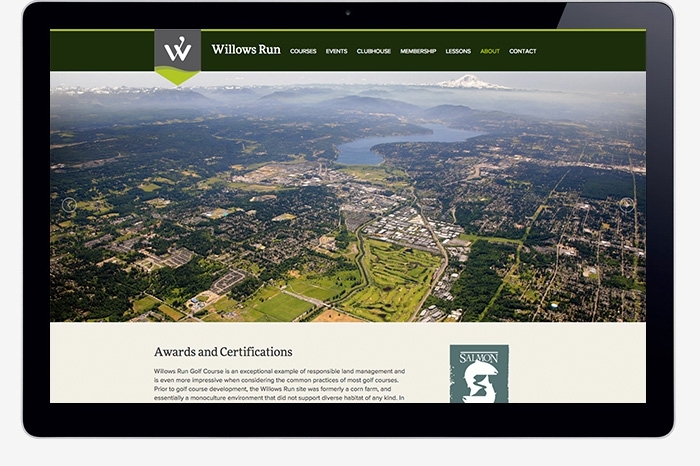 Rainier to the south. 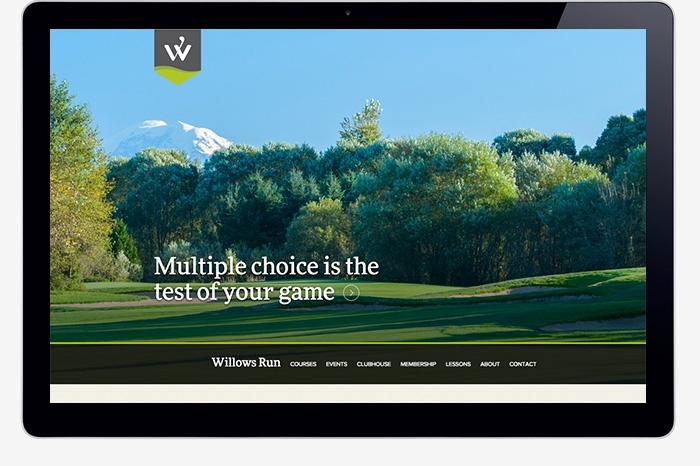 Willows Run is a sanctuary in the midst of a well-developed region that represents the best of the Northwest—a natural retreat with easy access to the urban centers of Bellevue and Seattle. 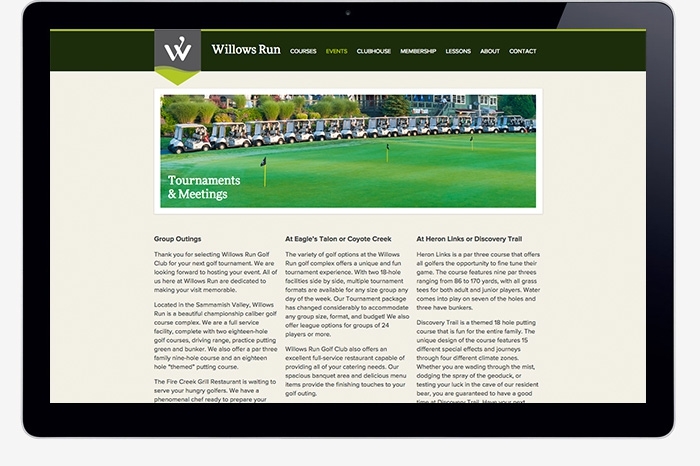 The courses at Willows Run cater to a large population of return golfers. 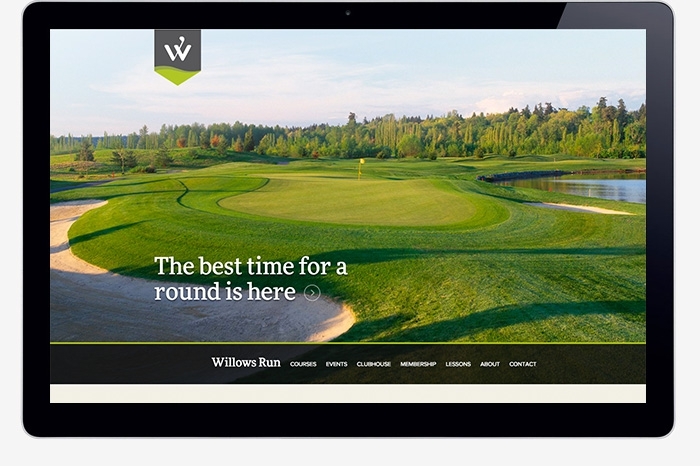 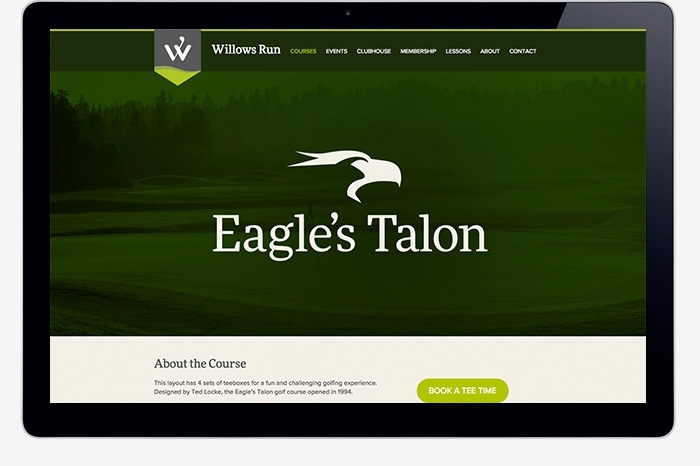 The management wanted a website redesign to not only showcase the beautiful courses, but also to be a useful site for golfers on the go. 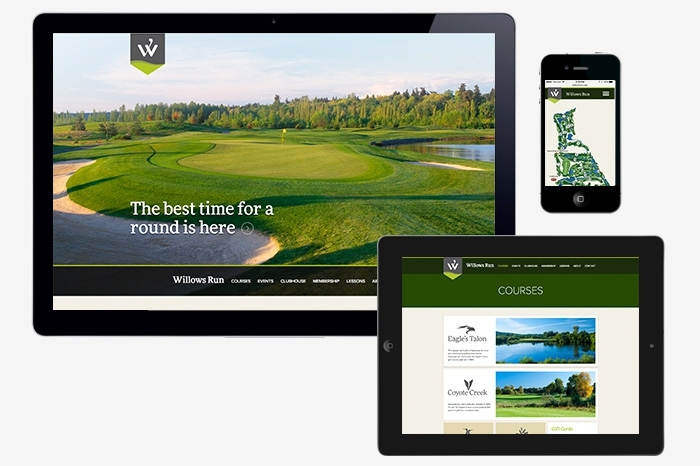 With a responsive design, the site is easily accessed on mobile devices to complete tee time bookings, contact the clubhouse and stay up to date on the latest events and promotions. 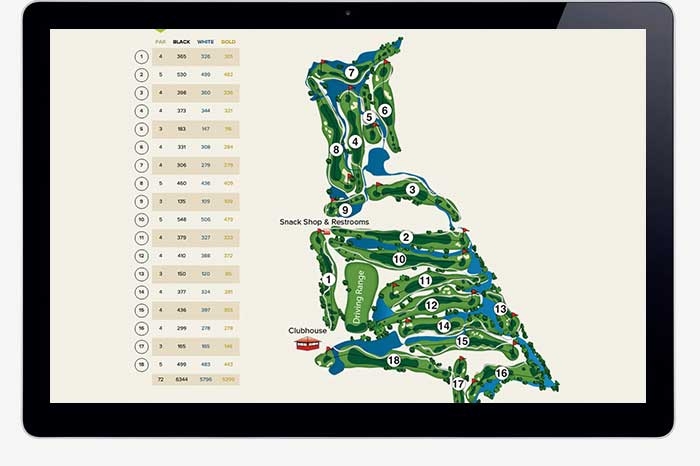 Image galleries and maps feature yardages and holes to showcase the challenge that awaits for first time visitors. 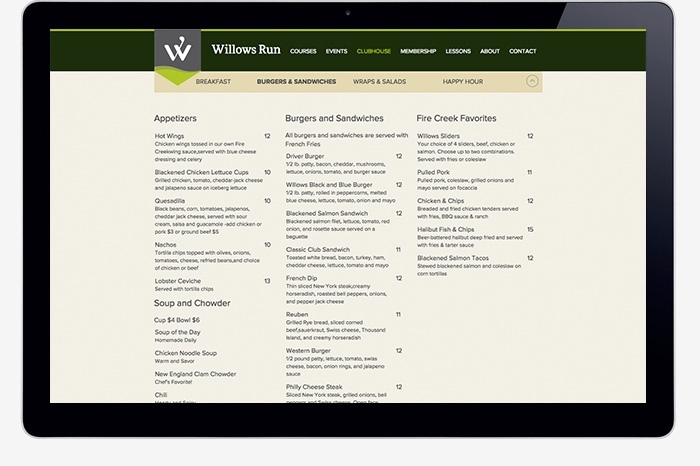 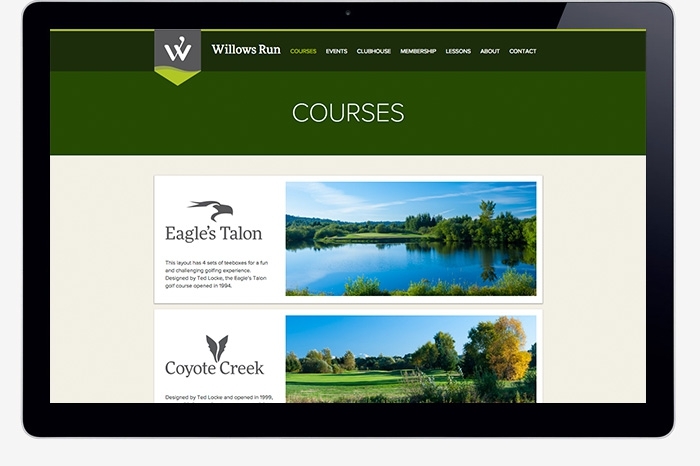 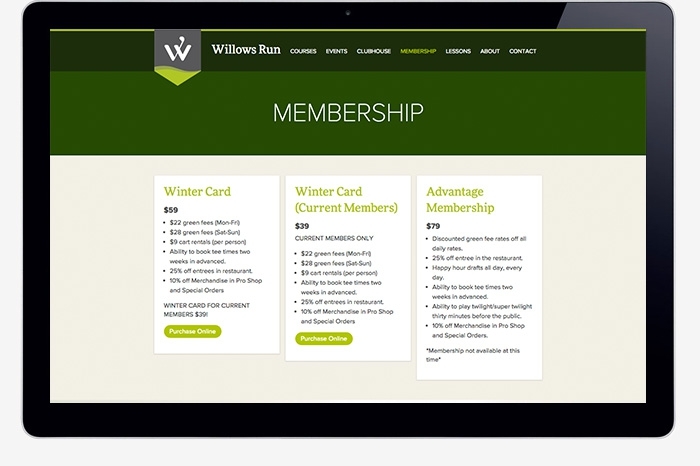 To complement the new web design, the Willows Run logo and accompanying course identities were also redesigned to match the new site.